Etisalat offers different internet plans which you can choose from and the plans are quite affordable, but if you don’t know which one to use and how to subscribe to the internet plan you prefer, you will see it in this post. 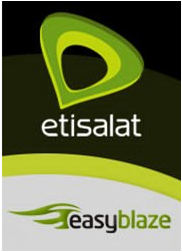 But before you subscribe to any data plan, make sure you have the current Etisalat Internet settings. Thanks for checking this post, don’t forget to share it with your friends by using the share button above this post and you should also keep checking back in order to get the latest internet subscription plans from other Networks.